Are natural cleaning products as safe as advertised? 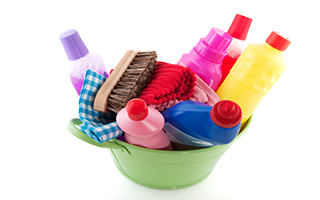 More and more people are seeking out "green" and "natural" cleaning products. This is good news. But are these products safe and nontoxic? Or are they just as dangerous as the "regular" products. Dr. Anne Steinemann, Chair of Sustainable Cities, is a renowned expert on pollution, air quality, and the effects of these on our health. She decided to investigate both regular and so-called natural products to see what was lurking within them. What she found might surprise you. Dr. Steinemann tested 37 different products to see which ones contained volatile organic compounds, or VOCs. These are common air pollutants. Some of these products were labeled "green" or "organic." But that didn't mean they didn't contain VOCs. Every single one of them did. In fact, Dr. Steinemann found 156 different VOCs in the products, 42 of which are considered toxic or hazardous by law. The products contained an average of 15 VOCs each, and the total number of VOCs found in the products was a whopping 550. But what's even scarier is that less than 3% of these VOCs were disclosed. Part of the reason is that many of these VOCs are covered by the ingredient label "fragrance." That's considered proprietary information; companies don't have to list the ingredients that make up their unique fragrance. So you can avoid some — but certainly not all — VOCs by choosing fragrance-free products. Dr. Steinemann warns, "Most of our exposure to air pollutants occurs indoors, and a primary source is consumer products. But the public lacks full and accurate information on the ingredients in these products. Our indoor air environments are essentially unregulated and unmonitored." When possible, try to choose cleaning products that are truly all-natural, such as vinegar. But since it's impossible to avoid these dangerous compounds entirely, try PectaSol Detox Formula. 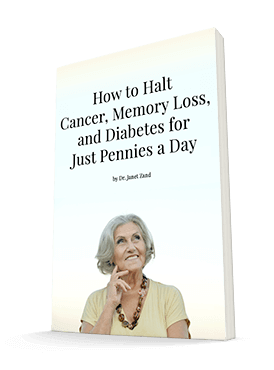 It's a gentle yet powerful way to eliminate dangerous toxins from your body. It's a clinically proven natural detoxifier that helps your body trap and eliminate the heavy metals and toxic elements that are destroying your health. You can't avoid these VOCs entirely, but you can avoid carrying them around in your body.